Customers – You might have heard of those mythical creatures who are actually willing to give you money in exchange for your products. This month’s Stammtisch will be all about them! We’ll tell you how to find your first customers. How to convince them of your company and your product. And what to do to help them grow with you and keep them coming back to you. Sounds great, right? – To answer all of your questions, we put together a panel of experts in this field. 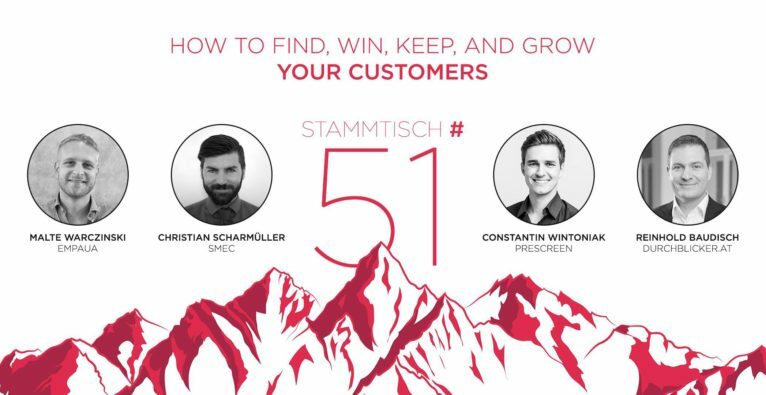 Tickets und Infos unter Austrian Startups Stammtisch!